Please complete the following fields to receive bids for Porsche Transmissions! Looking for a used Porsche transmission? Simply fill out the form above and ASAP Motors will connect you with our network of trusted auto parts brokers so you can start receiving quotes via call, text or email, usually in a matter of minutes. First founded more than 85 years ago in 1931, Porsche was originally a car consulting company. It got its start by developing the Volkswagen Beetle, one of the most famous vehicles of all time, and soon after began producing its own cars. Today, Porsche is one of the most renowned manufacturers of high-performance sports cars and has successfully branched out into the SUV and sedan markets. 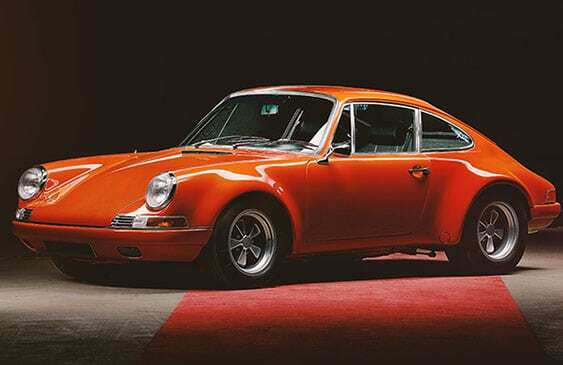 Although Porsche still offers manual transmissions on several of its models, it was one of the earliest pioneers of semi-automatic transmissions, and many drivers are die-hard fans of its Tiptronic and PDK “manumatic” transmissions. If you drive a Porsche, then you’ve already put quite a lot into your automotive style and freedom. However, if your transmission suddenly drops out then you’ll end up with a beautiful car that can’t shift into gear. Whether the gears stripped, or your fluid caused the mechanism to seize up, a Porsche without a functional transmission is no good to anyone. Fortunately, if you have an internet connection, you can get replacement Porsche parts quickly. All you need to do is fill out our parts request form at the top or bottom of this page, and offers will be sent right to your inbox. Dealers that have the right parts may then email you, letting you know exactly what they have, where they are and what the parts will go for. We provides a free parts locating service for those that are looking for used vehicle engines & transmissions. Avoid the hassle of going to every junk dealer and automotive scrap yard in the area trying to find the right part for their vehicle. It’s a great way to find the parts you need at a low price with no obligation. All you do is fill out a simple form, something that takes less than a minute, and offers from competing parts vendors will start arriving in your inbox. Whether you need a transmission for the performance-oriented sports Porsche 911 or the more family-friendly Porsche Cayenne, ASAP Motors can put you in touch with reputable sellers who have exactly what you’re looking for. The first vehicle manufactured by Porsche itself was the Porsche 356, an innovative and carefully engineered sports car. It immediately gained notoriety among racing enthusiasts for its high-quality build, exceptional aerodynamics and snappy handling, as well as its desirable combination of a lightweight body and impressive horsepower. Today, Porsche cars are beloved for many of the same reasons, as well as their ever-improving reliability. Porsche vehicles are no longer suited just to the racetrack — they’re also highly-dependable vehicles that can be counted on to perform while racing or simply while navigating through everyday traffic. With regular care and maintenance, Porsche transmissions can provide year after year of solid performance. Q: What’s the typical price of a used Porsche transmission? A: Depending on the year and model, the price of your used Porsche transmission will vary. However, most of our customers spend between $150 and $1,500 on their used Porsche transmissions. Q: What is a Porsche PDK transmission? A: As mentioned earlier, the Porsche Doppelkupplung (PDK) transmission is a semi-automatic — or “manumatic” — transmission. Specifically, it’s a dual-clutch transmission with seven speeds and both an automatic and manual mode. According to Porsche, this design allows fast gear changes, improved acceleration and reduced fuel consumption, all of which are ideal for a racing environment. Q: What is a Porsche Tiptronic transmission? A: The Tiptronic transmission is an innovative transmission that allows the driver to switch between manual and automatic modes. Technically speaking, it uses a torque converter much like many automatic transmissions, but also includes optional manual upshifting and downshifting. Unlike purely manual transmissions, the Tiptronic includes safeguards that prevent the driver from inadvertently damaging the transmission through incorrect gear-shifting. The Porsche Cayenne is a mid-size luxury crossover SUV first produced in 2002. Although the Cayenne is a more family-friendly SUV, it doesn’t skimp on performance: It features generous horsepower on both gas-powered and electric variants, sleek styling and widely praised handling. It’s been offered with manual, automatic and semi-automatic transmissions alike. The Porsche Panamera is an undeniably stylish executive car that was first unveiled in 2009. A departure from Porsche’s usual sporty offerings, the Panamera features a luxurious interior and high-tech amenities. It’s been offered with both manual and semi-automatic transmissions. One of Porsche’s most iconic sports cars, the Porsche 911 is a rear-engined car that’s won several major world-class races. In 2015 it was named the best premium sports car on the market by Car and Driver magazine, and by 2017 Porsche had produced 1 million 911 vehicles. It can be equipped with either a manual or semi-automatic transmission.